I create a small application and I would like to create one MSI file. 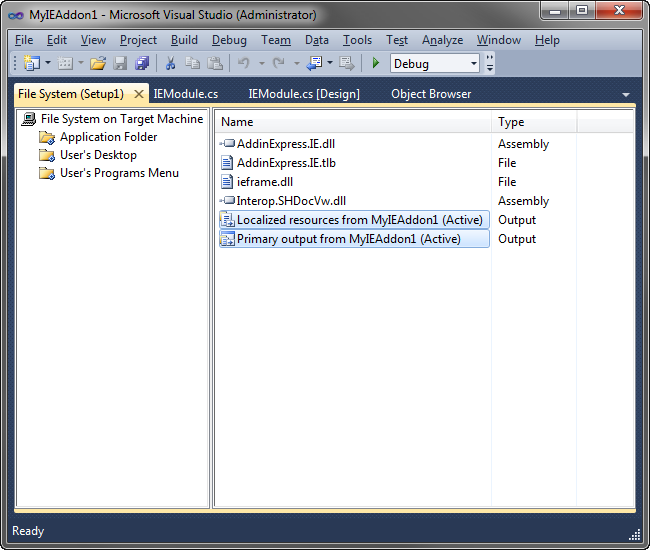 In Visual Studio 2010 you have this project type under: Other Project Types-> Setup and Deployment-> Visual studio Installer-> Setup Project... In Solution Explorer, right-click the newly created Web setup project node, and point to View, and then click File System. In the File System window, right-click the Web Application Folder node and point to Add , then click Project Output . In Solution Explorer, right-click the newly created Web setup project node, and point to View, and then click File System. In the File System window, right-click the Web Application Folder node and point to Add , then click Project Output . Right click on the Navigator (the leftmost window pane), click on New -> PHP Project. Give it a name and click "Finish". Give it a name and click "Finish". Right click on the project and click on New -> PHP file.